The total numbers of prisoners doing labor are not available due to the widespread lack of transparency in prison administrations. It’s easy to assume that at least 1 million incarcerated people are working in prison, with an estimated 1.5 million people inside state and federal prisons in the U.S. and over four-out-of-five prisons having work programs. Work programs and wages differ from prison to prison, but most prison labor is essentially mandatory, with inmates who refuse to work being subject to torture tactics such as solitary confinement. A 2017 report shows that prisoners are getting paid less per hour than they were in 2001. The average minimum wage for non-industry jobs is $0.86 per day. Typical jobs around the prison are food service, maintenance, laundry, grounds-keeping, and custodial, which lack the ability to increase any job hopes when released. Prisoners working in correctional industries average an hourly wage between $0.33 cents and $1.41. These industries include call centers, labor-intensive agricultural work and manufacturing. These industries that employ low-wage prison labor continually rake in millions of dollars a year in profits. Prison labor is responsible for producing a wide range of items, such as McDonald’s uniforms, office supplies, computer parts, license plates, body armor, road signs, mattresses, and much more. Meanwhile, sales of those items are extraordinarily profitable for the companies due to drastically reduced labor costs. A multitude of issues surround the complexity of the billion-dollar prison labor industry, from controversies plaguing state prisons, to ALEC lobbyists who pushed the Prison Industries Act in federal prisons, to the subcontractors and corporations who profit from underpaid prison labor. Not only is prison slavery legalized by the 13th Amendment, the convict-leasing system helped direct the development of the U.S. prison system into the for-profit system as we know it today. From the mid-1800s to early 1900s prisoners worked as slaves on plantations, lumber yards, factories, or building infrastructure such as highways and railroads. “Corporations were able to buy out prison slavery. Whoever had the highest bid was able to hire Black folks to work for them for free.” – Abijah Archer on the convict leasing system during #PrisonStrikeMpls noise demo. The labor market incentive for continuing mass incarceration, low wages, and the sale of prison-made services and goods at low prices motivates companies and prison officials to keep the prison labor industry going, with no signs of slowing down. Companies have faced public scrutiny for using prison labor, and some have cancelled their contracts. Whole Foods decided to stop its prison labor contract with Colorado Correctional Industries in late 2015 after protests targeted the grocery store (since bought out by Amazon) for using prison labor. Prison labor has been used by major corporations and companies such as McDonald’s, Wendy’s, Victoria’s Secret, Starbucks, Microsoft, Mary Kay, Wal-Mart, and others. 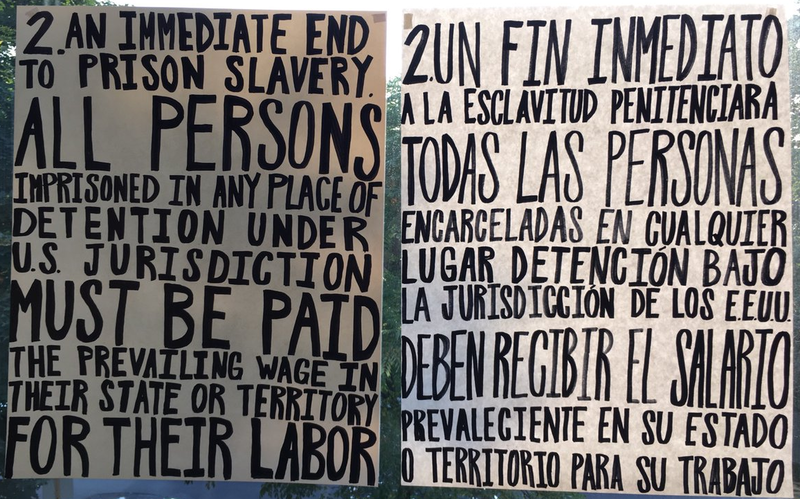 Organizers inside prison walls, as well as on the outside, have been pushing for people to pay attention to what they are spending their money on and to boycott companies using prison labor. Select juvenile facilities across the U.S. also use forced prison labor, yet it’s different at the youth work camps because most are not paid any wages for their labor. 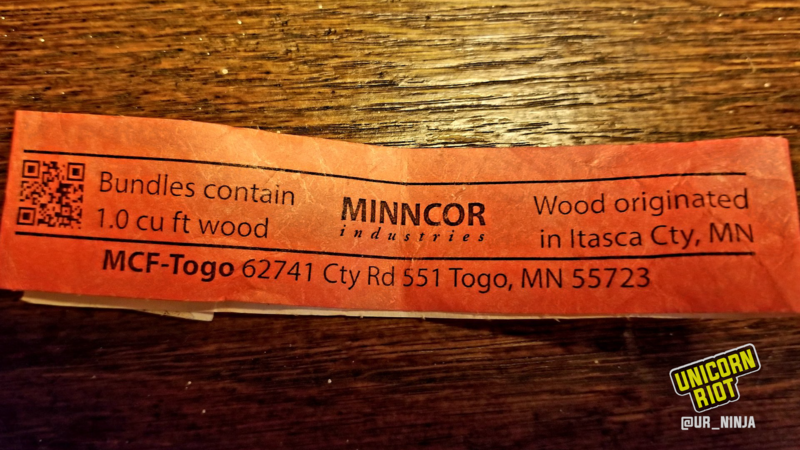 Youth at MCF-Togo, chop and bundle firewood for the state parks of Minnesota to sell at high profits, contracted through the state’s scandal-plagued prison industry company, Minncor. In California, inmates have fought record breaking wildfires this summer as firefighters, risking their lives to do a major public safety service for the wage of about $1 an hour. The prisoners fighting the fires while serving time are learning a trade, but they are not allowed to become firefighters when they leave prison due to laws against employing felons. Prison labor issues have led to work stoppages and other direct actions by prisoners demanding better working conditions and higher wages. In May 2018, in Louisiana’s Angola State Prison, a former slave plantation, up to 50 inmates were reported to have stopped working for at least day after prison guards forced a hurt prisoner to work. BREAKING – Work Stoppage at Largest Maximum Security Prison in the U.S. Prisoners were calling for an end to “modern day slavery“. In Angola, prisoners do tough agricultural manual labor in farm fields. The prisoners in Louisiana make somewhere between four cents to one dollar an hour. The 2016 Prison Strike, originating from a prison slavery protest in Holman Prison, sparked by the Free Alabama Movement and the Incarcerated Workers Organizing Committee, had record breaking numbers of inmates involved in strike actions aimed at ending prison slavery. While serving time, some prisoners love working whatever tasks are available, as it allows them to get out of their cell and gives them do something to pass their time quicker. Some also feel “it could be worse” and say nothing about getting paid such low wages. The Prison Industry Enhancement (PIE) program, which lifts restrictions to inmate-produced goods, allow for a small assortment of prisoners to earn a “prevailing wage” job. This average wage, paid to all workers of specified occupations, fits the exact demand of ending prison slavery. It’s yet to be known if this year’s inmate participation in strike actions calling for an end to prison slavery will top last year’s record numbers of participation from over 24,000 prisoners from over 24 states. Continue to follow Unicorn Riot for more coverage of the 2018 Prison Strike and follow the hashtags #PrisonStrike2018 and #PrisonStrike, among others for updates on the nationwide Prison Strike. Earlier this year, Unicorn Riot dropped a special from the Northern Spark Art Festival in Minneapolis spotlighting one of the exhibits bringing light to banned books in U.S. prisons.